Supporting people suffering with EB. We’re here to help and support you and your loved ones. ToolShed is the brainchild of David Lett and John Evans. They have spent the last 10 years developing programmes to help young people find their WHY. With their backgrounds in counselling and psychology they have enabled young people from all walks of life to make sense of the world around them and their place within it. They support young people aged 16-24 in their self-development, training, education and employment; so far 80% of our learners have gone on to employment of further education. 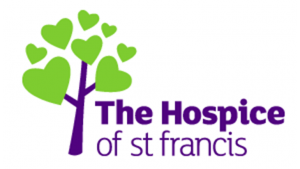 The Hospice of St Francis is a charity that provides free, expert care for people living with life-limiting illnesses in West Herts and South Bucks, regardless of age, gender, ethnicity or socio-economic background. We also support their families, carers and those close to them. Heart of Bucks is the community foundation for Buckinghamshire; a funding organisation awarding grants and loans to local charities and community groups. Community foundations are dedicated to improving the lives of people in a defined local geographical area. We bring together the financial resources of individuals, families, and businesses to support effective non-profits in their communities. One of the strengths of Heart of Bucks is our unique understanding of the needs of Buckinghamshire. Through research and outreach work we ensure that funding reaches those who need it most and can use it effectively. 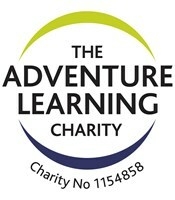 The Adventure Learning Charity is a charity that allows people and organisations to achieve their potential. For people we achieve this through our empowering activity programmes that build confidence and teach life skills such as leadership and team work. We also offer employment and training opportunities to young people, to allow everyone to contribute to their communities and be the best that they can be. For organisations through our sister organisation, Gerutha, we encourage charities and social enterprises to work together to create programmes and access funding, as well as providing support that enables organisations to access the best people and the best systems to achieve their visions. We are a charity based in Chesham, Buckinghamshire with a network of Tool Collection Points all over the UK. We are run by an ever growing team of volunteers who refurbish tools and then send them to vocational training projects in Africa and the UK and have received the Queen’s Award for Voluntary Service. To get involved you can volunteer, donate your tools or give a gift to change a life. 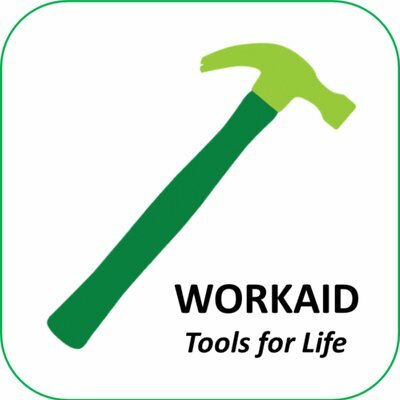 At Workaid we tackle poverty by supplying disadvantaged people with the tools they need to acquire practical skills and become self supporting. Tools and equipment are collected from all over the UK, refurbished and sent to vocational training projects and self-help groups, mostly in East Africa and in the UK. In Kind Direct is a charity connecting businesses and manufacturers with new products to donate, to charitable organisations that need them. These are goods that would otherwise end up in landfill. They have worked with 9,600 charitable organisations since being founded in 1997. Registration is free and charity members could each save thousands of pounds every year. Their online catalogue is regularly updated with products from toiletries and cleaning products to bedding, toys, mother and baby goods, craft supplies and much more. In Kind Direct also works with trusted partners like Directory of Social Change (DSC), Office Depot, Ryman and Ricoh to get extra discounts on other essentials and training. They help charitable organisations spend more on support, not supplies.